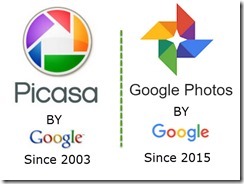 Getting Started – Learn Picasa and Google Photos! 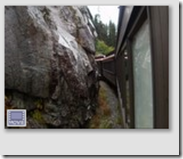 In Picasa’s Library view, there are many symbols/icons you may see on the picture thumbnails. These are indicators of certain attributes of the pictures being marked. 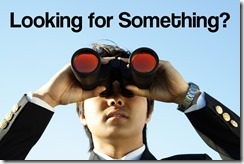 They are not part of the picture – they are simply informational. This article will discuss each one. Starred: Shows that this picture has been marked as a Favorite picture. See this article for a discussion of Stars and Tags. Sync’ed: This shows up on any picture in an album or folder that has been ‘Sync’ed’ to your Web Albums. 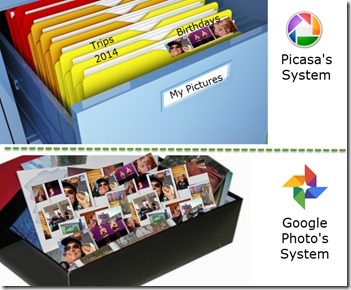 See this article about synchronized folders/albums with Picasa Web Albums. Geotagged: Indicates that this picture has latitude and longitude coordinates of the location where it was taken. See this article on Geotagging. This picture has been uploaded to Picasa Web Albums, and has been marked as a favorite. This picture has been geotagged and will be properly placed on a map in Places view. This thumbnail is a video clip. This thumbnail is in a Sync’ed album or folder. Therefore it is on the Web in addition to the computer. This picture has been Blocked from Uploading and will not be on the web even if it is in a Sync’ed album. 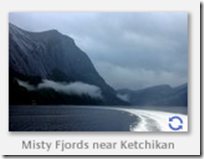 I’ve heard many people say they don’t know where Picasa puts their pictures. I’m here to tell you that Picasa only puts pictures where *you* tell it to. If you don’t tell it what folder to import your pictures to, they don’t get imported. 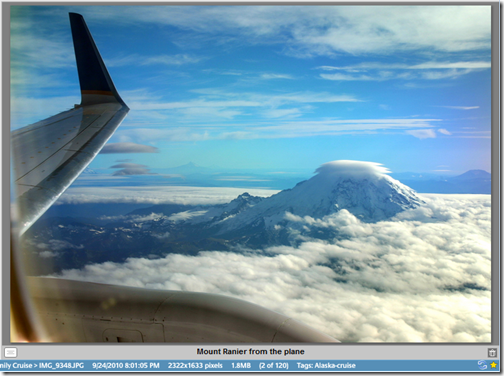 Here is Picasa’s Import screen. It gives you two places to specify where you want the pictures to be. Notice that, until you specify something in these boxes, you cannot import your pictures. the ‘Import all’ and ‘Import Selected’ buttons are grayed out. You can’t click on them. As soon as you put something appropriate in the first 2 boxes, then the Import buttons become available. If your computer is your filing cabinet, then box #1 is the drawer, and box #2 is the folder where you want the picture stored (or #1 is folder and #2 is sub-folder). Notice that box #1 reads ‘Pictures’. That means, unless you change it, your pictures will be imported to the ‘Pictures’ aka ‘My Pictures’ area of your computer. Then, you can create a folder within ‘My Pictures’ by typing something into box #2. This means to import pictures into a *new* folder called South Carolina within My Pictures area. 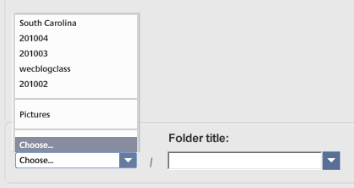 After you have created a folder, it will appear in the drop-down for the first box. So the next day, when you’ve taken more pictures in South Carolina, you can just click on the ‘Import to:’ drop-down arrow and choose South Carolina from the list. Now, you can leave the Folder title box blank and click ‘Import all’ or ‘Import Selected.’ Your pictures will be stored in PicturesSouth Carolina. If the folder you want isn’t on the drop-down list, you can click ‘Choose.’ This will open up a dialog box where you can navigate to any folder on your computer. You can tighten a screw with your thumbnail, or you can use a coin, or you can use a swiss army knife, or you can use a Craftsman screwdriver or a Stanley screwdriver. They are just different tools for accomplishing the same task. Once you learn to use a screwdriver – you will probably prefer it. But the screw doesn’t care – it gets tightened regardless what tool you use. 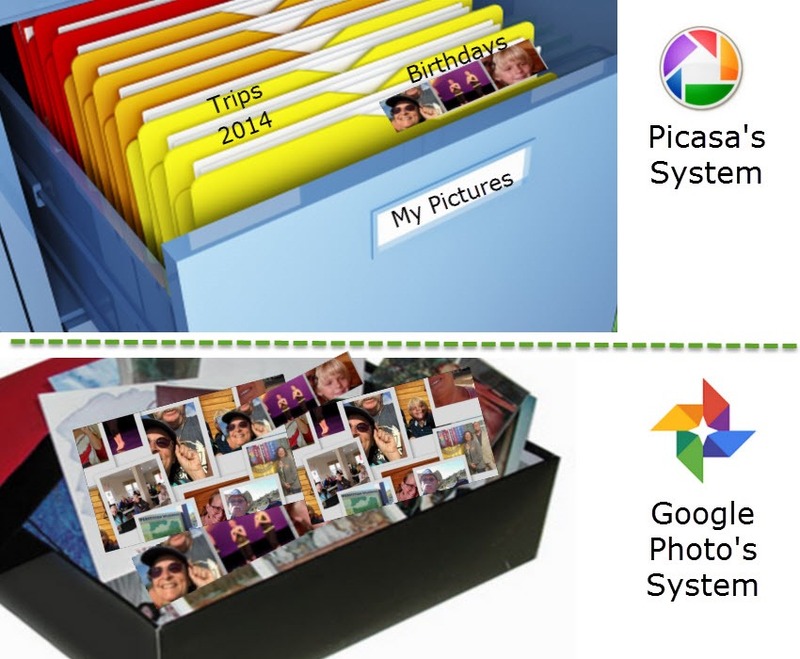 Picasa is just a tool – it doesn’t actually store your photos – it just helps you put them where you want. 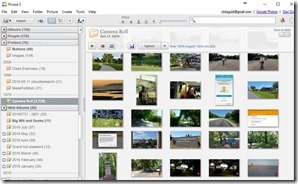 You don’t need to use Picasa to get pictures from your camera to your computer. You can use the software that came with your camera, you can use the software that came with your computer. Picasa doesn’t care how the pictures get onto your computer. As long as the pictures are in a folder that Picasa is watching (see Folder Manager) then Picasa will display them for you. You can even completely remove Picasa from your computer if you should decide you don’t like it. Your pictures will remain in whatever folder you put them. Import All: It’s just a one-click, no choices method. This way, I know that I’m getting all the pictures from my camera card – I can delete any bad ones later in Picasa. If instead, I selected photos to import into separate folders, I may miss some pictures by accident. Also, after importing all, I let Picasa delete them from the card. This way I always have a fresh card for use in my camera. One folder per month: my first import at the beginning of each month requires me to make a new folder. I just enter 201002 (Feb 2010) in the place for folder name. Every subsequent import, I just use the drop-down list to select an existing folder for ‘Import To:’ It remembers the previous folders I have used. Sometimes I do want specific folders other than my main, monthly folder. After I import my photos, I will select the one(s) I want in a new folder, right click and choose ‘Move to New Folder.’ Clicking on ‘Move to New Folder’ accomplishes two things, 1)it creates the new folder and 2)it moves the selected photos into it. After that first step, you can now drag other photos into that same folder. 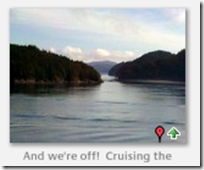 Yes, you heard right … there IS a Picasa 3.6 now. 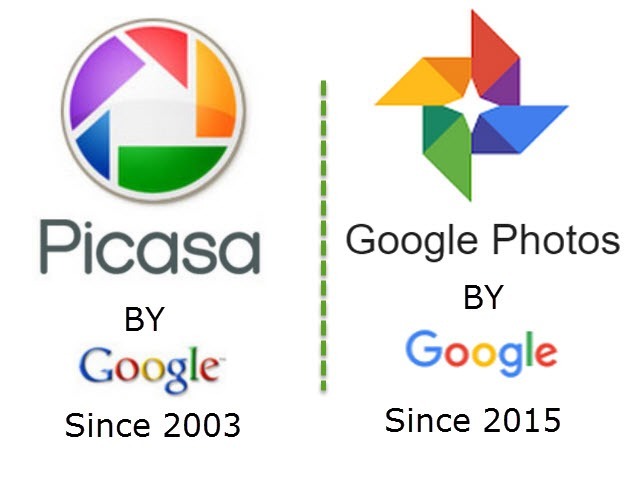 You can view all the notes about what has changed at Picasa 3 Readme from Google. 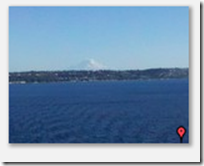 You can get here from your Picasa menu. Just click Help and Online Readme, or Release Notes. There’s no huge changes from 3.5. The only real difference is the Import screen – you can now have it automatically import into a folder named with the date of the photos. If you haven’t upgraded yet, watch this video to see how. The best way to learn Picasa is with our book, “Beginner’s Guide to Picasa 3.” It includes Show-Me-How videos. Where do we (Geeks on Tour) go when you all ask a question we can’t answer? We go to the Google Picasa Support Forum. This is where thousands of people ask their questions about Picasa. If you have a question, odds are that someone else has had the same question and there are also people on that forum who give great answers – including some folks from Picasa. 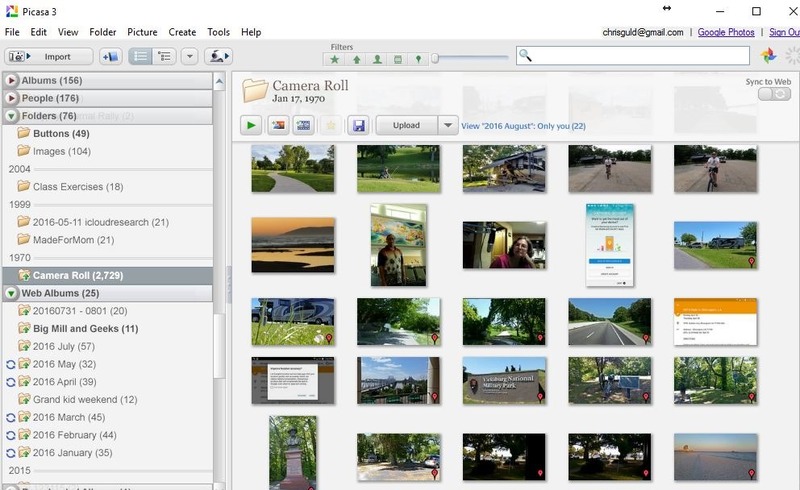 In addition to the users’ forum, there are help articles on all the basic topics you need to know about Picasa. 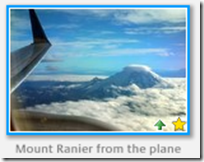 And, now there is a new addition – the Picasa Resources FAQ page. 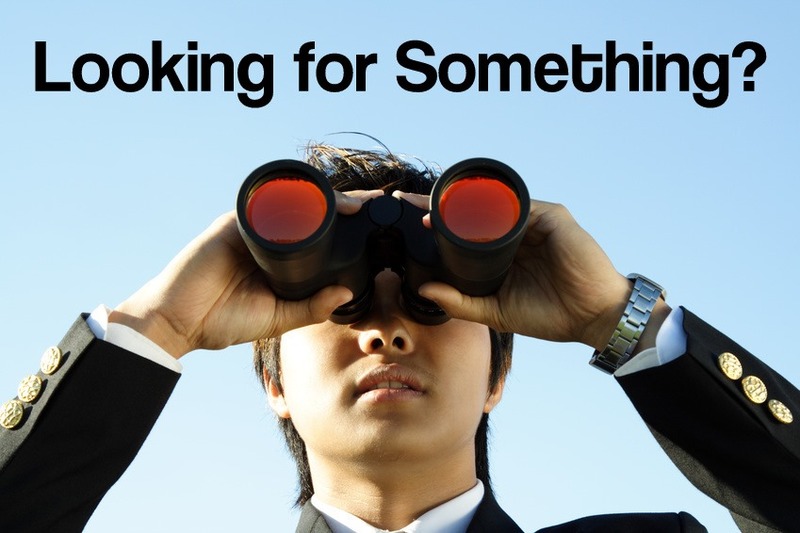 FAQs are just that – the questions that are asked most often in the forums and elsewhere. If you’re just getting started with Picasa, I highly recommend reading thru the FAQs. You might get some questions cleared up before you even realize you have the question. The FAQ page is maintained by the people who answer the most questions in the forum – the ‘Top Contributors’ – and we’re proud to say that they see enough value in the Geeks on Tour videos to include a link to our site as well. There is also a link to the Picasa YouTube channel. If you haven’t registered for the webinar yet – there’s still time. Here’s the link. This free live webinar will happen tomorrow, November 13 starting at 10 am Pacific time. That’s 11am Arizona time, 11am Mountain time, 12 noon Central time, and 1pm Eastern time. Now that it’s over, you can watch the Youtube recording of the webinar. If you can’t make it at that time, not to worry, it will be recorded and we will post the link here when it is ready.